As a devoted pet owner, you know that leaving your dog in your hot car for even just a short amount of time can be very detrimental to his or her health. After all, just imagine how you feel sitting in a hot car without the air conditioner on for just a few minutes. Your dog’s body — by its very makeup — reacts in much more devastating ways that can lead to some awful consequences. Imagine a lovely spring afternoon of sunny 70 degree weather outside. 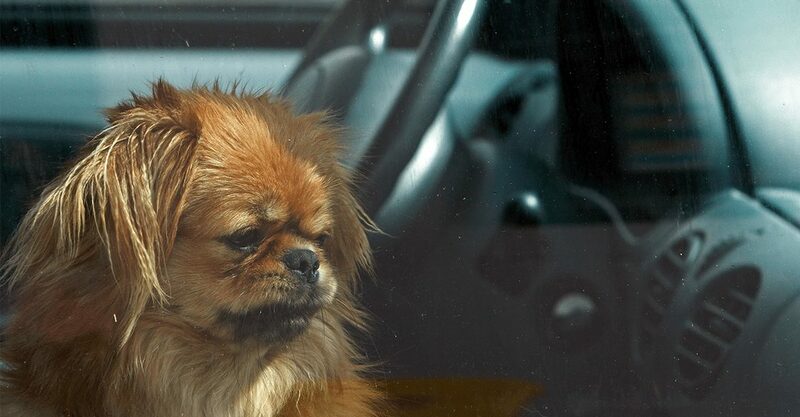 Inside your car at that temperature, though, your dog will soon face life-threatening problems. Did you know that after only 10 minutes of sitting in a hot car on a day when it is 70 degrees outside, the temperature inside the car rises to 89 degrees? 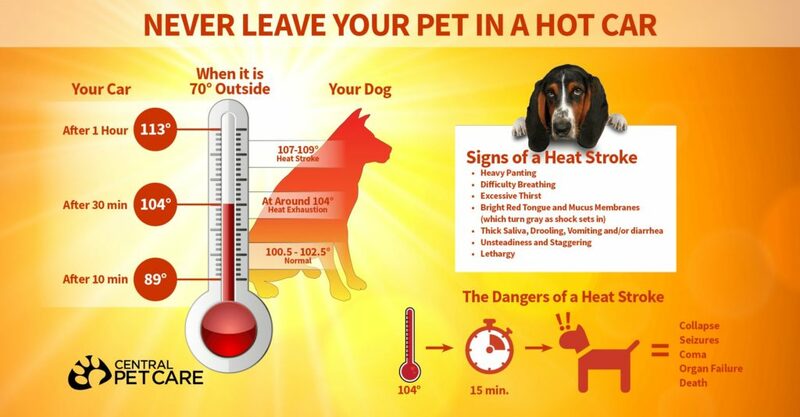 After 30 minutes, the temperature has jumped to 104 degrees and your dog is in danger of experiencing heat exhaustion. Within an hour, the inside temperature of your car has skyrocketed to an astonishing 113 degrees and your dog will likely experience heat stroke unless you act quickly. After sitting in a hot car for only 30 minutes, your dog can experience heat stroke. This can lead to heartbreaking consequences such as collapse, seizures, coma, organ failure and, finally, death. In order to save your beloved dog’s life — or even the life of another dog — learn the signs of heat stroke and take quick action. If your dog is experiencing any of the above symptoms, it is important to remove him or her to a cool area and seek veterinary care immediately. Your quick action could save your companion’s life. Better yet, never leave your dog — or any animal — in a hot car.